If your neck is cold, the rest of your body is cold. Period. 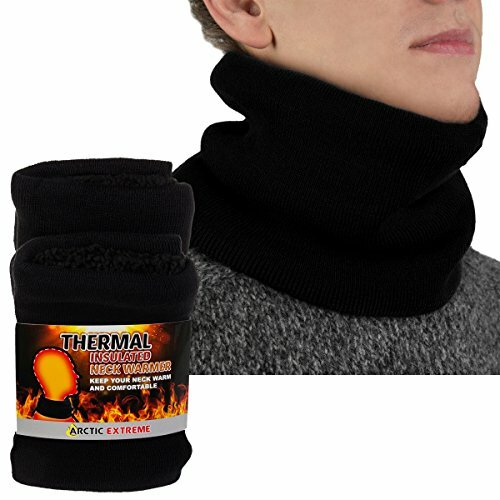 Warm up with this Polar Extreme Thermal Neck Warmer! 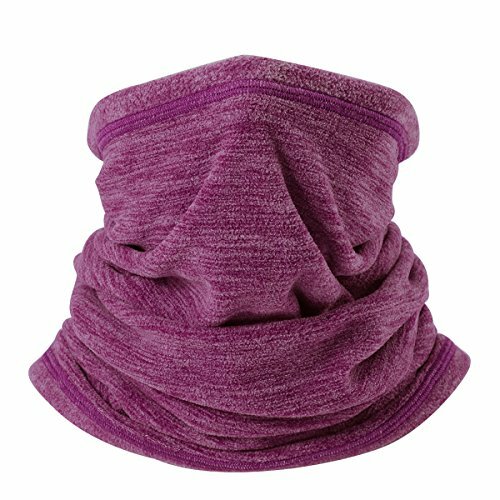 Laced with fabulously soft fleece that won't itch your skin, this neck gaiter will keep you toasty and cozy in the coldest weather. Grab it before going skiing, snowboarding, or just standing outside waiting for your morning commute. 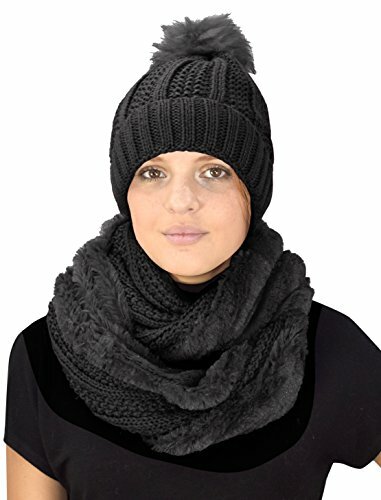 Brand New Winter Collection by Peach Couture (Peach Couture is a Registered Trademark) As you get ready to bundle up this winter, be sure to purchase one of Peach Couture's cable knit faux fur double layered hats. These wonderful hats feature an ultra warm double layered design that helps trap heat in and keeps the cold out. To make this product even better, the inside of the beanie is layered with a soft and comfortable faux fur lining which gives you a touch of extra warmth during those cold days ahead. The interior faux fur layer is coated through the whole inside of the hat, so no need to worry about wetness or cold air getting inside. The extraordinary cable knit design gives this beanie style with its lovely pattern throughout the entire hat along with a furry pom-pom to give it that extra touch. 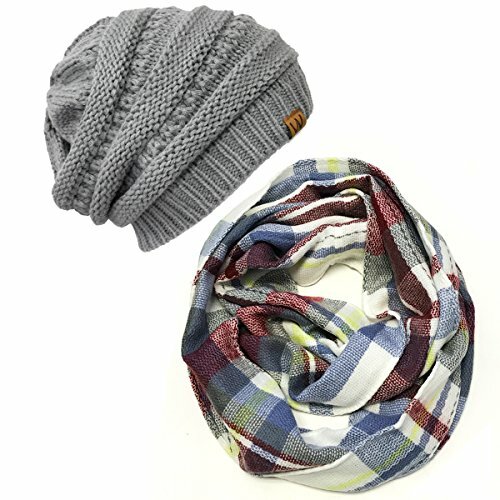 This beanie can slide over your ears on those extra cold days, or slide it up and let it slouch down to give it versatile style and design. Choose from a variety of beautiful and vibrant colors to go along with your favorite winter outfit. Makes the perfect gift for the upcoming holiday season! Buy them before they're sold out! 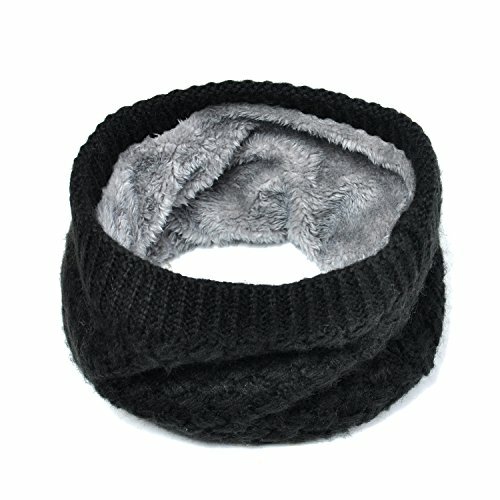 This thick and warm twisted cable knitted infinity loop scarf is a great addition to your collection of winter accessories. High quality & versatile. Great for cold weather. Brings you simple & effortless style along with warmth & comfort. 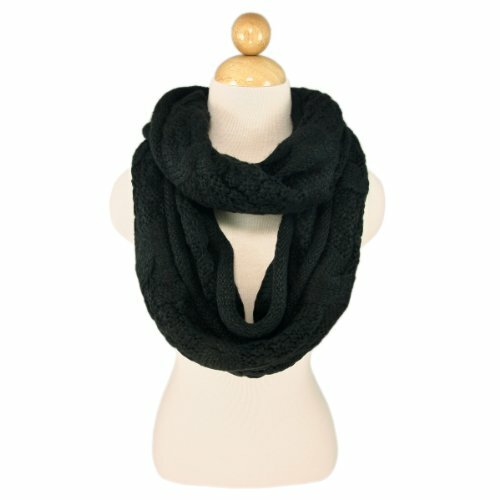 This scarf fits both men and women, makes an excellent gift for any occasion. The size 12" wide, 64" around. TrendsBlue® is a registered trademark. Style #: FS03 This soft and warm scarf offers extra coverage. 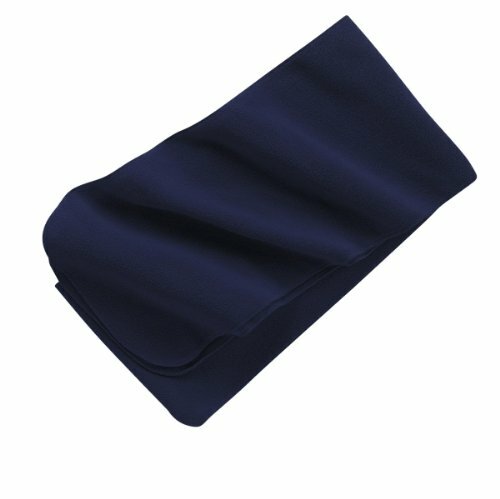 100% polyester fleece Anti-pill finish for lasting wear Dyed-to-match overlock stitch Dimensions: 80" x 10"
A soft and stylish scarf and beanie set to keep you warm during the chilly season. This scarf features a colorful checkered pattern that can be worn double looped or long. The beanie is thickly knitted and can be slouched down for a casual look. 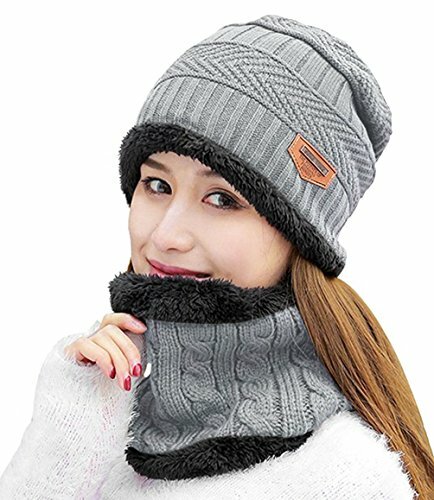 The perfect winter accessories for keeping warm while looking fashionable. 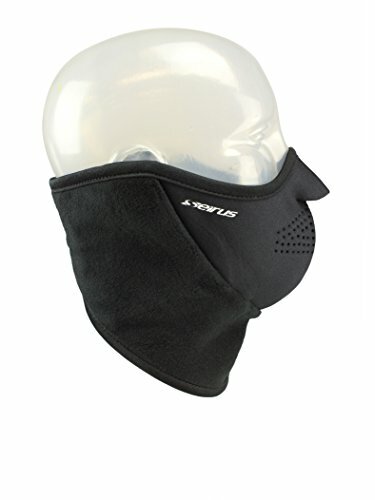 Material: cationic fleece Size: one size (Length 17.71", width 9.84" size) Versatility: neck gaiter, Half face mask, beanie, pirate hat Color: 9 color available Season: Winter Include: 1 Pack Washing instruction: Do not bleach; do not dry clean, air dry; wash by hand for best result. About JIUSY: "Acme-tech, natural harmony." is JIUSY's design philosophy. JIUSY is committed to provide you the best products through advanced technology. Every JIUSY's product can bring you unparalleled comfort. With JIUSY, you can better explore nature and enjoy your outdoor sports. More about winter scarves here: http://timeoutchicago.com/shopping-style/shopping/54054/how-to-tie-a-winter-scarf Stylist Amy Salinger shows us quick and easy ways to tie winter scarves. See more of Amy's work at amysalinger.net or youtube.com/ahsalinger. 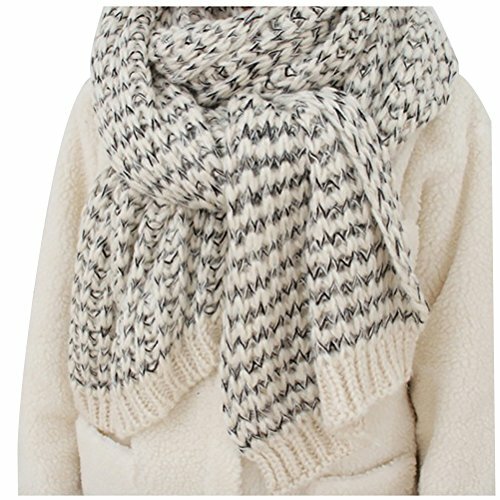 Compare prices on Cold Weather Scarf at ShoppinGent.com – use promo codes and coupons for best offers and deals. Start smart buying with ShoppinGent.com right now and choose your golden price on every purchase.